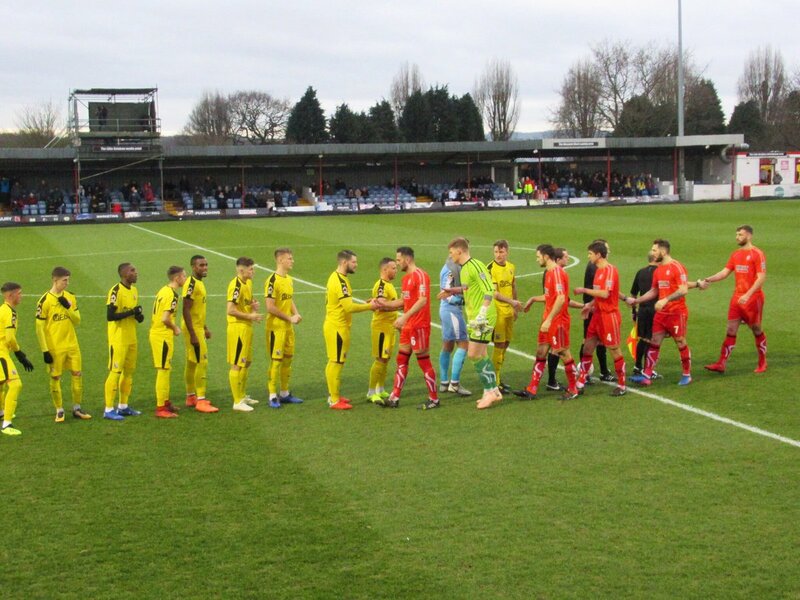 Alfreton Town played out a entertaining affair against Darlington in a game with few clear cut chances as the points were shared at the Impact Arena on Saturday. Billy Heath produced inclusions for debutant Dominic Smith on loan from Telford, Ed Wagner made the bench in his second spell with the Reds alongside a returning Bobby Johnson. The game started in tight fashion as Darlington moved the ball around well, Luke Shiels had to be alert to clear an attempted through ball before Josh Clackstone headed a Galbraith free kick away from danger. Alfreton were yet to really venture forwards with Darlington confident on the ball; long balls towards Richard Peniket caused a few issues with the Reds striker turning these balls forward into rooted attacks with Peniket winning throws and free kicks. Peniket picked the ball up on the left side and turned his man before being bundled over on the left side, right outside the box. Jordan Sinnott took the free kick which was cleared before Clackstone did well to tackle in the box to stop the Quakers counter. Tom Allan's flick on towards Reece Styche nearly saw the forward connect with the effort cleanly but there wasnt enough on it to trouble Maddison. The contest was really relying on the midfield battle to generate chances, Sinnott, David Lynch and Tom Platt were all working hard in the centre to control the midfield. Galbraith swung another free kick in towards the far post which saw the effort go into the side netting. Dom Smith then found Peniket unmarked with a great cross but there wasn't enough contact on the header to steer the ball past Maddison who held onto the effort. Tom Platt then missed a good chance on 23 minutes as he missed the ball from Allan's flick on from a corner. Sinnott then tested Maddison with a near post free kick which was saved before we earned another free kick chance which led to a corner and Peniket heading wide from that set piece. The Reds were creating more as the half wore on, Peniket had another opening from Styche's near post cross but the flicked effort dribbled wide of the far post. Darlington responded with free kicks which were cleared by Shiels and Smith as the first half came to an end. The second period saw the Quakers get on the front foot early as Thompson missed the first major chance of the game when he was played through in the box and his dinked effort over Sam Ramsbottom went inches wide of the far corner. Ramsbottom held onto Wheatley's low effort from outside the box before Saunders got his header wrong from Kokolo's cross on the right. Sam held onto two Thompson efforts which were straight at him before Ramsbottom produced a stunning save to deny Saunders with an on-rushing save. Late openings saw Platt fire wide in the box when well positioned before Sam denied Thompson with his knee in the box before Nicholson curled just wide of the far corner with virtually the last kick of the game. Although the visitors ended the game the stronger, the Reds will be happy with a clean sheet and in turn the point; albeit a frustrating one, a draw was a fair reflection on the contest as Alfreton made it three league games unbeaten. Next up we host Brackley Town on Saturday, with a 3pm kick off. ATFCXI: Ramsbottom, Clackstone, Smith, Lynch, Riley, Shiels (c), Styche, Platt, Peniket, Sinnott (Johnson 59), Allan (Bateson 64). Subs Not Used: Wagner, Nicholson, O'Brien.